Just sold this downtown border Condominium at 1 - 1028 Princess Avenue, Victoria, BC. 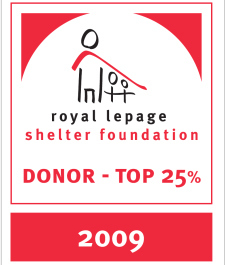 For every real estate transaction I complete, I donate a portion of my earnings to the Royal LePage Shelter Foundation. For 2009 I was able to help in more ways because of my clients. Together we can make a difference. Thank you. Please stay tuned for more updates!